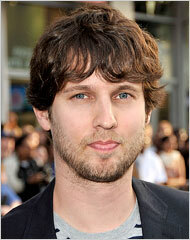 Though he is no stranger to Hollywood, Jon Heder isn't afraid to share his LDS beliefs and how they impact his career. The Mormon values Heder learned while young help determine decisions he makes today—including acting decisions. When asked whether he keeps his LDS faith in mind when he picks different roles, Heder told whosay.com, "I do, yeah. It’s not even really keeping it in mind, it’s just a part of who I am. I don’t really forget, it’s just been kind of automatic. When I read something, judgment takes place. Part of who I am is my standards and my beliefs, and that makes its way into all my decision-making." Despite the limitations that can sometimes come from striving to stick to his standards in an industry that is growing more raunchy, Heder told LDS Living in an exclusive interview that his faith also brings blessings. "I definitely try to direct my career down a path that won’t conflict with my values, and it can be very hard sometimes, especially when it limits your options and field of comfort, but the values and standards that I try to live by have been a part of my life since I was born, and I believe I will always receive blessings as long as I stick to my guns," he says.